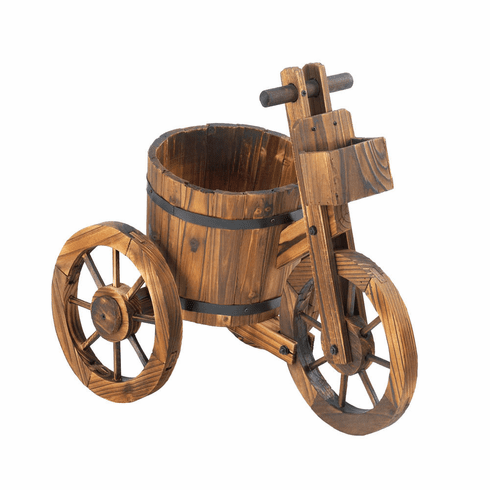 This may be the most charming plant holder ever! The rain barrel potted plant holder features authentic black metal banding and is set on a wooden tricycle frame. 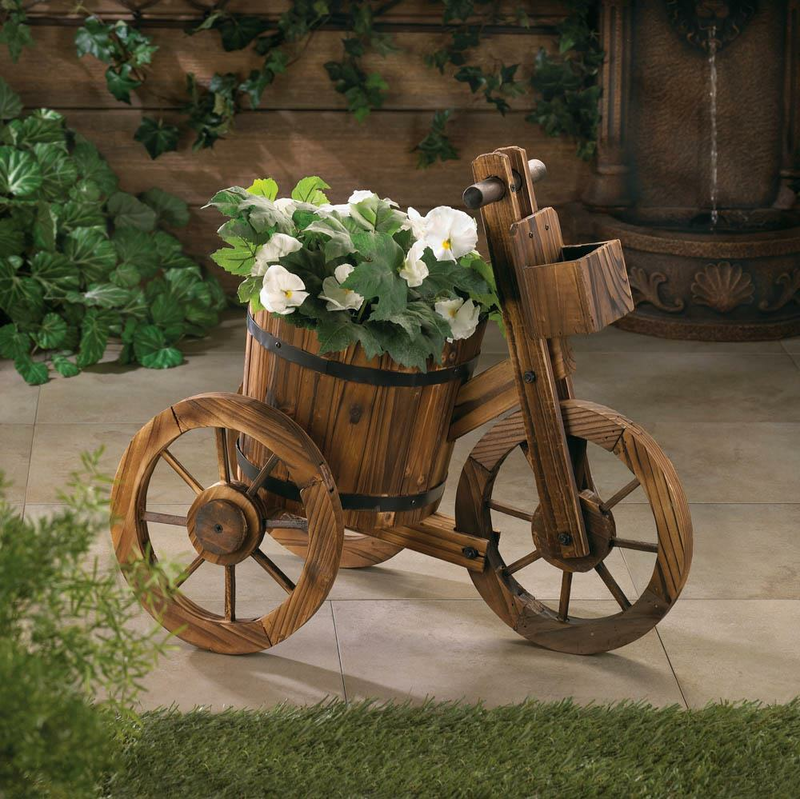 From the wagon wheels to the little box on the front of the handlebars, this plant accessory is overloaded with country charm! Item weight: 3.6 lbs. 21" x 12" x 18" high. Fir wood. Plant not included. UPC: 849179016630. Some Assembly Required.